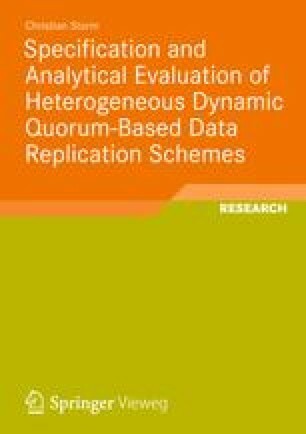 Quorum-based data replication schemes are specified via two sets of subsets of the set of processes: The write quorum set’s quorums are used to perform write operations and the read quorum set’s quorums are used to perform read operations. These two sets are constructed such that every two write quorums intersect in at least one process and every write quorum intersects with every read quorum in at least one process. Two read quorums need not to intersect. The deployment of a quorum-based data replication scheme requires a representation of the quorum system in terms of an encoding to be stored on each process in the system.